The trendsetter in DC for the tapas set. 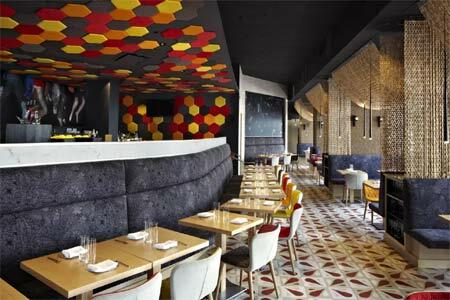 : After an extensive renovation and total facelift, José Andrés' primo tapas restaurant further distinguishes this notable chef. In addition to the décor, the menu was also enlivened with an injection of pure Spanish ingredients --- think Serrano ham, for one --- and the bar is full of ritzy cocktails, including an Andrés martini that tickles the palate. The restaurant is always busy, but tables turn over quickly so the wait usually isn't too long. The menu offers many appetizers and entrées, but don’t bypass at least one dish with Spanish cheese, chicken fritters, chorizo, shrimp with garlic and, for dessert, the chocolate hazelnut cake.